If you’re not already a cryptocurrency investor, you’ve probably at least heard a thing or two about blockchain, Bitcoin, or both. Let’s be clear; these are indeed technologies to be taken seriously, even as they’re written off by traditionalists like Warren Buffet and Jamie Dimon (who perhaps not coincidentally have massive investments in traditional finance institutions). To recap, Bitcoin (BTC) is the first decentralized cryptocurrency (created in 2009) and currently the largest of more than 1,000 known cryptocurrencies, with a market cap of about $140B USD as of the beginning of February, 2018. That represents more than a third of the nearly $400B total market cap of all cryptocurrencies tracked by CoinMarketCap. Blockchain, on the other hand, is the technology that Bitcoin and many (but not all) of the other newer cryptocurrencies vying for a piece of the crypto-craze — are built on. 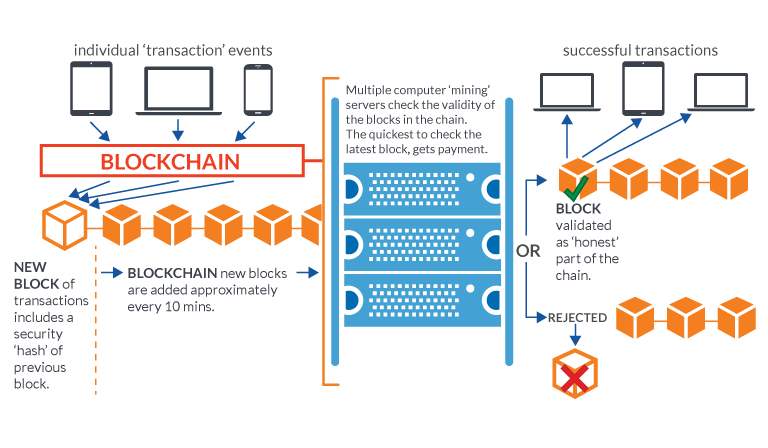 Blockchain works by recording peer to peer transactions onto “blocks” which are subsequently written permanently onto an open and distributed ledger (the blockchain) through a consensus-based mining process. The blockchain ledger, by its open nature is verifiable by anyone, and is resistant to modification because it’s distributed and encrypted. Importantly, blockchain’s design eliminates the need for “trusted” middlemen such as banks, offering a number of significant advantages over our current trust-based systems. For example, transactions on a blockchain can happen much quicker (as they are processed within minutes, automatically), more reliably, and more efficiently than traditional transactions using fiat currency like USD. One important benefit from the increased efficiency is significant reduced transaction costs. As an example, McKinsey and Company estimates that cross-border payments revenue (transaction fees) worldwide will total $2.2 trillion USD by 2021, illustrating just how expensive it is to move money across borders (never mind the 3-5 day typical settlement times). That’s a lot of potential cost savings to be had if the companies that provide these payments services adopt blockchain-based systems. Cross-border payments are just one of the more obvious use cases for blockchain technology. Beyond cross-border payments and even peer-to-peer (P2P) payments, there are even more interesting use cases for blockchain, which we’ll discuss later in this story. In an automobile analogy (credit: Jason Schenker), you might think of Bitcoin as 1) the first car to use an internal combustion engine and blockchain as 2) the internal combustion engine technology itself. While Bitcoin is the first and currently largest cryptocurrency to use blockchain technology and has excellent people behind it, many new blockchain projects are emerging that are also intriguing from a technology perspective. And yes, even Kodak (the film company) entered the blockchain fray in 2018. Who could be next? Tech giants like Microsoft and Oracle are now incorporating blockchain into their product and service portfolios, though neither has stated any intention of creating its own cryptocurrency as of yet. Therefore, given the rapid influx of innovation and talent flowing into the global cryptocurrency community, it’s anybody’s guess whether Bitcoin will remain on top five, 10, or 20+ years from now. It does need to be stated, however, that Bitcoin maintains a strong advantage in network effect. Bitcoin currently plays a sort of “safe haven” role as the largest and most traded (thus providing the most liquidity) cryptocurrency, with less volatility (i.e. : price fluctuations) than most other cryptocurrencies. So, Bitcoin has a significant leg up on its competition right now, but things could change rapidly depending on how other cryptocurrency projects evolve. While Bitcoin’s future prospects are anyone’s guess, blockchain, on the other hand, is almost certain to gain mainstream relevance in the future. A foundational approach to building decentralized systems, blockchain offers significant gains for just about every business, across just about every industry. The only significant question mark is just how long it will take for this promising technology to be widely implemented. The early wave of cryptocurrencies inspired by Bitcoin’s emergence in 2009 provided limited product differentiation beyond the original peer-to-peer (P2P) payments focus. Litecoin (LTC), founded in 2011 and currently #6 in global market cap, is essentially Bitcoin with more frequent block creation to allow faster transactions, for example. According to Litecoin founder Charlie Lee, Litecoin is intended to be “the silver to Bitcoin’s gold.” Litecoin also positions itself on its website as complementary to Bitcoin, suggesting that there is room in the future of P2P payments for a coin whose transactions settle in just 2.5 minutes, compared to Bitcoin’s process which takes 10 minutes. Litecoin founder Charlie Lee’s twitter profile exemplifies the complementary relationship between Bitcoin and Litecoin. In 2012, Ripple (whose native cryptocurrency is XRP), another project that catapulted in popularity last year (and is currently #3 in market cap among cryptocurrencies), also began to offer its own take on decentralized payments. Unlike Bitcoin and Litecoin, Ripple’s payments systems verify transactions by consensus from a much smaller number of trusted gateways, instead of its predecessors’ blockchain-based approach that requires vast amounts of computing power and electricity (to mine). Ripple’s approach has several benefits over Bitcoin (at the cost of less decentralization): much faster transaction speeds (just seconds) and potentially lower transaction costs. Ripple has had success over the last year launching partnerships to facilitate “frictionless” cross border payments using its payments systems. Although both Litecoin and Ripple brought innovation to the crypto space, at the end of the day, they (and a few others) have generally been content to focus on P2P payments use cases. In late 2013, the crypto paradigm changed forever when Vitalik Buterin introduced the world to Ethereum (whose token is ETH). The emergence of Ethereum in subsequent years, particularly in 2017 when its market cap grew to nearly $100B (2nd only to Bitcoin), has validated the value of projects that unlock new use cases beyond P2P payments. Unlike Bitcoin and Litecoin, Ethereum was not designed primarily for payments. Instead, Ethereum was built to facilitate blockchain-based custom “smart contracts” and applications. Central to the Ethereum platform are mechanisms for scripting custom smart contracts that can be recorded onto the Ethereum blockchain. This means Ether (the token used on the Ethereum platform) can be used for all kinds of smart contracts, including but not limited to smart property rentals (think “rental economy” with AirBnB, ridesharing, etc. ), financial transactions, commodity pricing, online gambling, video games, content licensing, virtual gifting, and even the creation and management of new cryptocurrency projects and initial coin offerings (ICOs). Smart contracts on a platform like Ethereum can run the gamut from complex business arrangements to simple consumer transactions. Ethereum lets you build “unstoppable applications,” according to the Ethereum Foundation website. Ethereum’s meteoric rise in 2017, among other developments, has facilitated a recent surge of new decentralized apps (dapps) that use blockchain technology. Some of the most prominent dapps are themselves new cryptocurrency projects, many of which are ERC20 tokens — built on the Ethereum network, but adding customizations to either the technology or application focus. Here are just a few of the top coin or token projects competing for attention in the exploding cryptocurrency market, in order of market share according to CoinMarketCap, as of 2/7/2018. It would appear that nobody on this list is doing the exact same thing. And, when you consider the thousands of dapps being built that don’t even qualify as a cryptocurrency, you start to see the makings of a whole universe of distinct opportunities for enterprising entrepreneurs. How can Dapps Improve Real Business Performance? For businesses that aren’t looking to enter the much-hyped ICO or cryptocurrency markets, there are still many reasons to build dapps. Ability to settle transactions and close deals automatically anytime, not just during business hours (even weekends). Improved security (in terms of immutability) of data and applications stored on the blockchain. Reduced overhead costs (such as personnel and facilities) for accounting and contracting (contract lawyers and contract management staff), and fraud prevention (for ecommerce companies, for example). Significantly lower average transaction costs, due to both the reduced overhead and variable costs associated with blockchain-based verification and processing. Next, consider that many of these leading projects (Ethereum, for example) are ecosystems or platforms, intended to attract the support of business partners and applications that will each put down their own roots on one or more of these platforms. 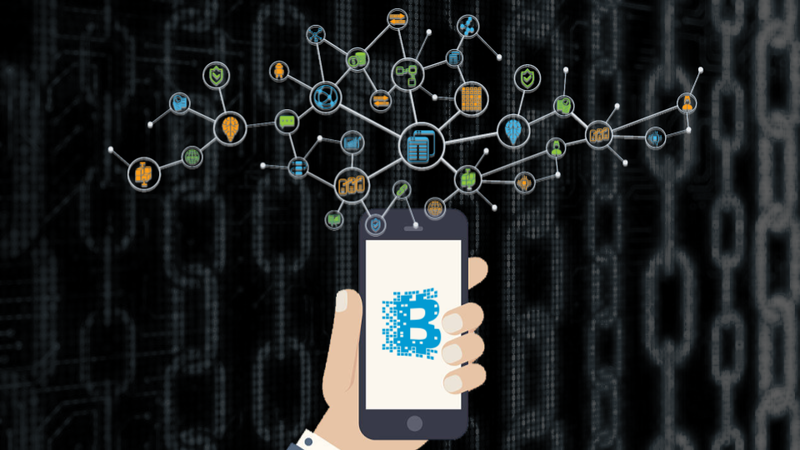 Much like app marketplaces like the Google Play Store, Salesforce AppExchange, or WordPress Plugin Directory must minimize barriers for app developers that want to launch on their platforms, these blockchain platforms also need to make it easy for app developers and businesses to create and support dapps on their platforms. It’s precisely this opportunity — to build dapps on existing dapp platforms (like Ethereum) — that is attracting companies of all sizes to the virtues of decentralization.